Reduces the wrinkles.Gives elasticity and firmness to the skin.Evens the complexion. 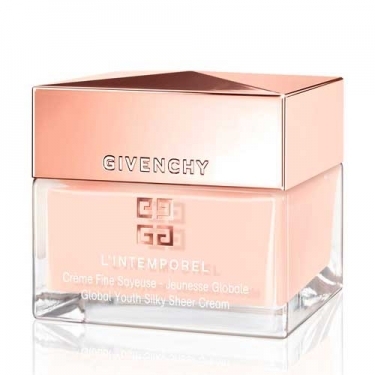 L'Intemporel - Crème Fine Soyeuse from Givenchy is an anti-aging care. 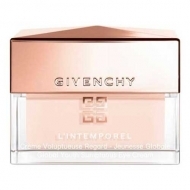 Enriched with the Timeless Blend Complex, developed by Givenchy laboratories, it protects from photo aging and free radicals while favoring the collagen synthesis. Its dense and rosy texture wraps the skin in a durable comfort film. Day after day, the appearance of wrinkles is reduced, the complexion evened, and the elasticity, density and firmness visibly improved. Softened and radiant, the skin regains its beauty. Apply morning and/or evening to the face and neck, with upward movements.